Whether it’s a big trip or a small one, traveling is a fun and exciting time for most women, but it would be a shame if our lack of beauty essentials got in the way. Between hair products, makeup, skincare, moisturizers and hair removal tools, packing enough in your beauty kits can seem daunting, and remaining organized can seem even worse. In fact, popular flight booking website cheapflights.com did a survey and found that bathroom products and makeup are among the things that people commonly leave at home when traveling. 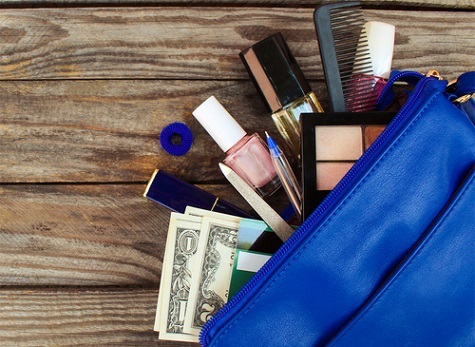 So how do you ensure that your travel beauty kit is perfect? Let’s take a look at a few quick tips. One of the first steps to having a beauty kit that is compact and comprehensive, is making sure it’s organized. When traveling, you don’t know how much time, space or the circumstance you’re going to be in, so it’s always best to make sure your products are clean and accessible. First, try having separate kits for various steps in your beauty process, one for the bathroom that has shampoo, conditioner, body wash, razor and teeth cleaning; one for makeup and one with miscellaneous items like nail kits, body lotion and tweezers. To add even more detail, try buying a kit that has various compartments in it so you can separate your products and ensure they stay clean. You wouldn’t want you’re dark eyeshadow spilling and blemishing all your foundation brushes. Traveling implies that you’ll be out of your comfort zone and doing adventurous, not-so-everyday type of activities — you’re body will be under certain levels of stress so it’s vital that you have good quality products to support it. If you spend the day exploring a new city or doing an activity like hiking an outdoor trail, you’re skin for example is going to be dirty and often blemished. Therefore, when packing your traveling kit, it’s vital to invest in good quality products like Artistry skincare by Amway, to ensure you’re able to keep up your normal beauty standards. Good quality products also means that they are made with better packaging, which can be essential to avoiding breakages of delicate makeup products like eyeshadow. One of the biggest concerns when packing a travel beauty kit is “Am I going to have enough space?” Packing light does make your trip easier and often cheaper, but it can come with the sacrifice of leaving certain beloved beauty products at home. But you don’t have to make this compromise. Employ some handy space saving secrets so you can fit enough of each product to last you the trip. Such tricks include filling labelled straws with skincare products, filling an old eyedropper with toothpaste or even using leftover contact lens cases to carry liquid makeup. Be creative with different things, and always make sure your liquids remain in your check-in baggage to avoid you having to throw out valuable and expensive products. Managing to pack a comprehensive and well-equipped travel beauty kit can seem difficult. However, by employing some of these tips, you can make sure you have everything you need at your fingertips without having to sacrifice a product you love using.